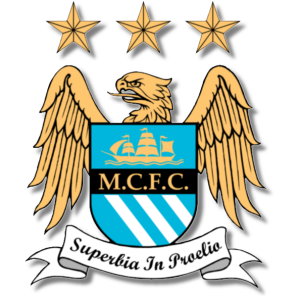 Add your Manchester City Football Club Badge stampette logo to your Facebook and Twitter page and show your support for The Sky Blues. The club's most successful period was in the late 1960s and early 1970s when they won the League Championship, FA Cup, League Cup and European Cup Winners' Cup. In 2011, Manchester City qualified for the Champions League and won the FA Cup.